With ever increasing graphics muscle, smartphones are today giving a tough competition to other mainstream devices. Here's our list of such best gaming smartphones. Smartphones have become portable gaming powerhouses with ever increasing graphics muscle. Every year, high-end smartphones are being launched by various companies with even better graphics playing capability than their predecessors. Also, the qualities of mobile games have been raised to match up the core hardware power. 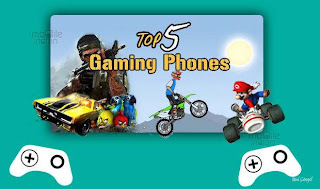 Here is a list of such powerful gaming smartphones worth possessing. In last couple of months, two new devices - HTC One X and Sony Xperia S have been introduced in India. We would have included the Galaxy Nexus but unfortunately it still has not been launched in India. The latest Apple iPhone 4S smartphone packs a new dual-core 1 GHz A5 mobile processor. Apart from that, its graphics chip - PowerVR SGX543MP2, which comes with two cores is considered as the best. This dual-core graphics chip offers seven times more performance than its predecessor chip while playing games and also loads apps faster, though the RAM configuration remains unchanged. The faster performance is further aided by the inclusion of the OpenGL ES 2.0 engine support in the iOS operating system. In terms of basic hardware, the Apple iPhone 4S packs a great graphics muscle but the 3.7-inch Retina Display is simply great to enjoy high-quality 3D visuals. This display may look small when compared to the 4-inch or higher display of some Android OS based smartphones. Physically, the iPhone 4S may look similar to its predecessor but when it comes to quality of graphics and smoother game performance with games like Infinity Blade 2, the iPhone 4S simply takes away the cake. Apple iPhone 4S is available in India at a price starting Rs 44, 500 for 16 GB model. You can find it for cheaper online or in gray market in India but do note that there won't be any warranty offered on that by Apple India. HTC's new high-end smartphone under the new brand name One series is the One X. The One X also is the first quad-core smartphone to be made available in India. 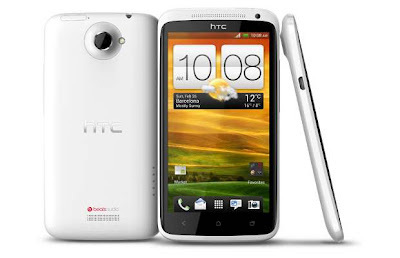 Sporting a large 4.7-inch Super-LCD 2 touchscreen display, the HTC One X supports 1280x720 pixel resolution. Under the 8.9 mm slim and 130 gram light chassis, the One X houses a powerful quad-core 1.5 GHz Nvidia Tegra 3 mobile processor coupled with 1 GB RAM. Coming in the 4-Plus-1 Cores configuration, its Nvidia Tegra 3 mobile processor uses low power GeForce GPU that has up to 12 graphics cores packed inside it to power great quality graphics. The Tegra 3 promises three times the performance than the Tegra 2 processor. The Android Market has special Nvidia Tegra Zone that contains a list of Games specially optimised to make the best of the Tegra 2 and Tegra 3 mobile architecture. Of course, when it comes to making the best of the hardware, only few games fare well. Overall, the 4.7-inch touchscreen display of this smartphone is big and crisp to enjoy most of the Android games. By default, this smartphone comes with Android 4.0 Ice Cream Sandwich with HTC Sense 4.0 user interface. Currently the HTC One X retails in the market for Rs 37,500. The closest contender to the first quad-core smartphone is the new Sony Xperia X featuring a totally new line of mono-block style design. 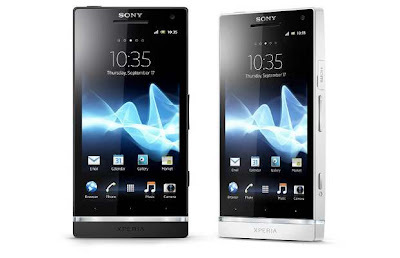 Flaunting the 4.3-inch touchscreen display with 342 pixels per inch density, the Xperia S also supports 1280x720 pixel resolution. That means, the visuals and text on this smartphone would appear slightly crisper, only if you pay close attention to spot it. Packing 1 GB RAM, this smartphone has a dual-core 1.5 GHz Qualcomm MSM8260 Snapdragon S4 family mobile processor. This processor is coupled with Adreno 220 graphics which is capable of competing with Samsung's Mali-400MP based smartphones. Qualcomm also has a list of games specifically optimised for the Adreno family processors. Along with the great screen with Mobile Bravia Engine, the smartphone comes with a 1750 mAh battery to provide longer run time than its competitors. The Sony Xperia S retails for Rs 32, 500 approximately in the Indian market. 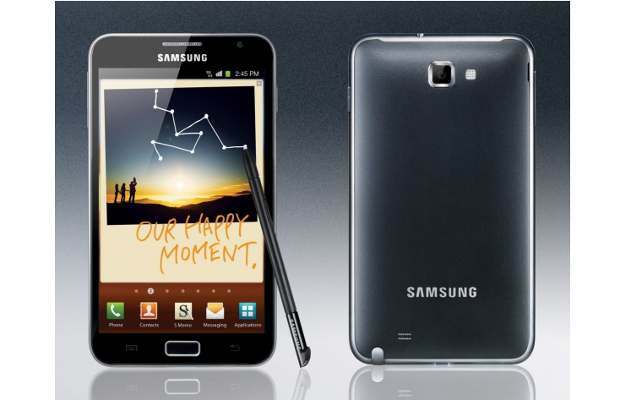 Samsung slots the Galaxy Note between a tablet and a smartphone. With one of the largest touchscreen display amongst smartphones - 5.3-inch, the Galaxy Note has a dual core processor clocked at 1.4 GHz. The massive 5.3 inch HD Super Amoled display of Galaxy Note supports 1280x800 pixel resolution, the wider real-estate and higher resolution support makes it real interesting. The Galaxy Note features a gyroscope sensor and accelerometer that fuels up the gaming experience. The Galaxy Note packs the same Mali-400MP mobile graphics chip as the one used in the Galaxy S II smartphone. Though it runs Android 2.3 Gingerbread, Samsung is almost ready with the Android 4.0 Ice Cream Sandwich update for the same. Samsung Galaxy Note also comes with 16 GB of internal memory that takes care of the storage for this device. Biggest advantage of this device is its massive battery that can promise longer mobile gaming experience. Considering the bigger real-estate, amazing HD Super Amoled display and top of the line graphics power, the Galaxy Note is thus a great choice for casual and semi-casual mobile gamers and comes for Rs 32,700 approximately. 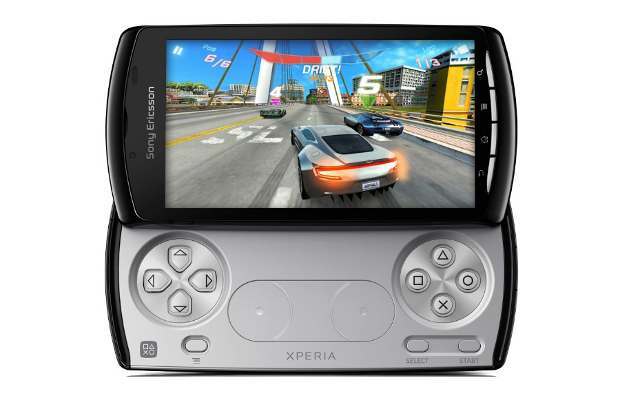 Sony Ericsson Xperia Play did not immediately become popular after launch despite its extensive gaming capabilities and controls, but it has gradually grown strong in the market. The Xperia Play is an officially certified PlayStation device with PSP-like controls including slide out track pads, which are capacitive. In terms of hardware, Xperia Play features a 1 GHz Qualcomm Snapdragon processor with dedicated Adreno 205 graphics engine, which ensures smoother and faster graphics performance - a must for a gaming device. In total, it has 400 MB of internal storage that doubles up as ROM. Besides, 512 MB of RAM has been added to this device as well to keep the performance speedy and zippy. Although the device now has a smaller (4 inch) screen as compared to most smartphones, it's been compensated by the resolution (480 x 854 pixels) and by colour reproduction. Besides, its stereo sound output perfectly complements the gaming experience. The Xperia Play runs on Google Android that has hundreds of free and paid games. Also, Sony Ericsson continually releases free premium games especially for Xperia Play. For more content users can use PlayStation suite, a dedicated store for PlayStation certified devices. Now, with the ICS update announced, the new age operating system will soon be making its way for the device and will hopefully bring some new and exciting features with it.